To help Pasco County, Florida, prepare for, respond to, and recover from Hurricane Irma when it struck in September 2017, Jeremy Edwards, the county’s GIS supervisor, pulled several 16-hour days in the emergency operations center (EOC). Totaling 160 hours in two weeks, Edwards had hardly seen his family or been outside. Edwards, his wife, their son, and their dog were 30 minutes away from home and a couple miles into the woods when the head of the EOC called. One of the last things Edwards had done before he’d left was create a simple app with Survey123 for ArcGIS to record the donations that were being received at donation centers set up throughout the county. “I didn’t really know if they were going to use it, but I thought I could whip it together pretty quickly and leave them with an option other than pen and paper,” he said. The county had used it. And now county commissioners were just hours away from giving a press conference where they wanted to show how many donations, and what kinds, had been collected. But then he had a revelation. In preparation for Hurricane Irma, Edwards and his team had made a Survey123 app for the public to use to report any damage to their properties. Residents could fill out the form with the details of the damage, upload photos, and input their addresses. “By the time we were done, we got 15,000 entries within about two to three days,” said Edwards. But he was having a hard time downloading all the data and images. So he called Esri, and local government solution engineer William Meyers guided him through how to work with geodatabase replicas, which solved the problem. At the end of the call, Meyers showed Edwards how he could visualize all that data in a beta version of Operations Dashboard for ArcGIS. Edwards was only paying perfunctory attention. Edwards sat down on a fallen tree, logged in to ArcGIS Online, and started to create a dashboard. But the mobile version was different from the desktop version he was on when Meyers showed him how to use the app. “I started sweating, thinking, ‘I can’t make it work,’” he said. Then he saw a button labeled Open Desktop Site, so he tapped it and was taken to a screen that had all the controls he remembered seeing on his desktop. From here, he also had access to the information from the Survey123 form that he needed to build the dashboard: the types of donations, the amount of money, what foods were perishable, and more. He quickly made different graphs that displayed these details for each donation site. 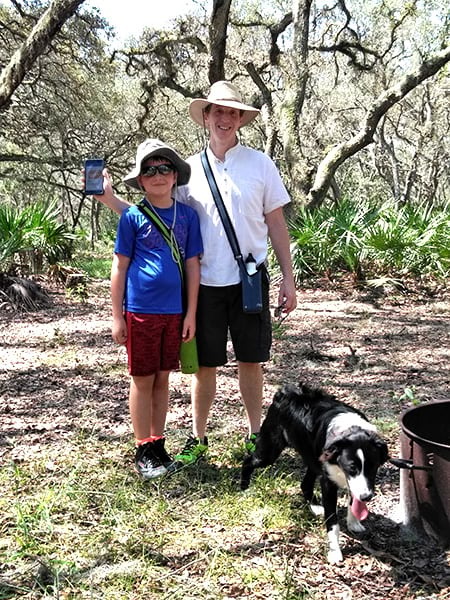 Edwards sent the emergency operations center (EOC) a photo of himself with his son and their dog in the woods, showing off the dashboard app he’d just made on his phone. Edwards said that while this may have been the coolest GIS project he’s ever worked on, it’s not the most important thing he’s ever done. A certified GIS Professional (GISP), Edwards got his start in CAD and was pretty good at it. He considered going into architecture, but he wanted to do more. “As I was doing CAD, I thought, I don’t want to draw a building; I want to draw the world,” Edwards said. He took geography classes while he was in architecture school at the University of South Florida, and the correlation between people and space piqued his interest. So he got a bachelor’s degree in human geography and a master’s degree in technical geography. “I just ended up being really good at it,” he said. Edwards then landed a GIS job at the university’s Center for Urban Transportation Research. While he was looking for data one day, he must have submitted a job application to Pasco County (though he doesn’t remember doing that) because they called him and asked him to interview for a GIS analyst position. He eventually agreed to go in, so as not to burn any bridges in the small world that was GIS at the time, and he ended up taking the job. Edwards was a GIS analyst with the county for about five years before he became a supervisor. In his time at Pasco, he has shepherded GIS from a make-me-a-map venture to an analysis-heavy endeavor. Whereas the EOC used to put GIS personnel on phone duty during hurricanes, GIS is now instrumental in responding to natural disasters. “Every storm we’ve had over the last few years, we’ve done a little bit more,” said Edwards. 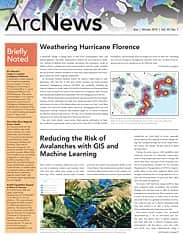 His team began contributing sincerely to disaster response activities in 2012 by using ArcGIS Server to make printed maps. The following year, Edwards and his team created web maps and apps. Next, they used Survey123 internally, and finally they rolled it out externally. Now, the public uses Survey123 to report damage, and Pasco County staff can see relevant geospatial information about each property—including parcel value, commission district, and ZIP code—on a dashboard. Edwards has convinced field personnel to use Collector for ArcGIS and building inspectors to employ Workforce for ArcGIS. He and his team have streamlined disaster operations so there’s no duplicate data, and the Survey123 forms they use for hurricane damage assessments match what has to go to the Federal Emergency Management Administration (FEMA) for disaster assistance. Edwards really enjoys working in the EOC because he feels like he can make a difference. But he also likes the programming side of GIS. 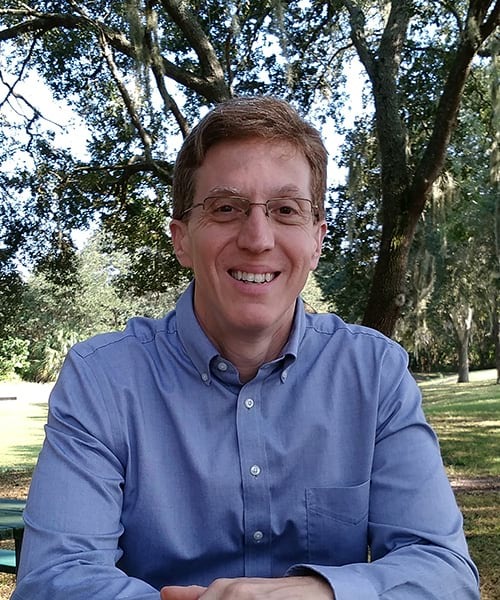 One of his most valued projects is the map package creator he made for Pasco County’s Environmental Lands Acquisition and Management Program (ELAMP). When Edwards took over as supervisor, one of the jobs GIS analysts had to do was create a set of nine maps for ELAMP that showed things like what the land is currently being used for, soil types, and whether there are any archaeological artifacts in the area. “It was something that really could have been automated and was a fun project to do,” said Edwards. He used ModelBuilder and ArcPy to automatically populate parcel numbers, project names, and intersects in the maps. 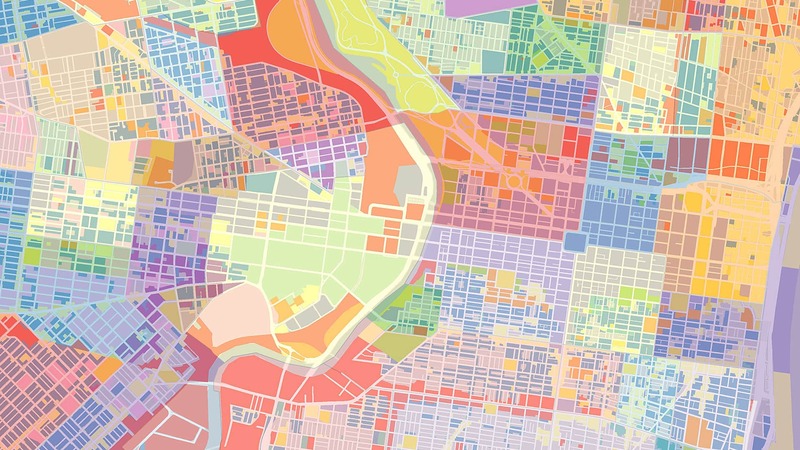 To pinpoint specific soil types or zoning, the program zooms to the relevant areas, makes a PDF, zips all the PDFs up, and creates a map package. What used to take a whole day now takes 20 minutes. As GIS supervisor, Edwards also oversaw the conversion of addressing from mainframe to GIS. And when the county implemented a new 911 dispatch program, he and his team had to make sure sheriffs and police departments could see where roads changed from paved to dirt, where there were gates, and other details. But the GIS team’s addressing was intersection to intersection, and Edwards didn’t want to keep two sets of geography. “So I scripted that and was able to put it together,” said Edwards. He used linear referencing to locate each event (a change in road structure, a gate) along the centerlines, measured these features, and modeled the topology to get the 911 dispatch program what it needed. And none of this affected his team’s set of geography. “Nobody sees this, but without it, 911 calls don’t get to where they need to go when you dispatch somebody,” said Edwards. It’s this kind of behind-the-scenes tinkering that electrifies Edwards and keeps him inspired. “Learning GIS at the command line level, where you really just get into the nuts and bolts of it, I’ve learned a lot,” he reflected. Having made a dashboard app in the woods on his phone, Edwards is unquestionably well prepared for that.